Exciting projects were in motion this summer at Mark Andy. Most notable and long awaited is our complete demo experience overhaul. Leadership at Mark Andy wanted a space in our corporate headquarters that resonated with innovation, technology-forward thinking, creativity and complete workflow solutions. This was the start to bringing our existing demo space to new heights. To see a sneak peek of what you can expect, keep on reading. The new technology center will feature state-of-the-art configurations of Mark Andy equipment. 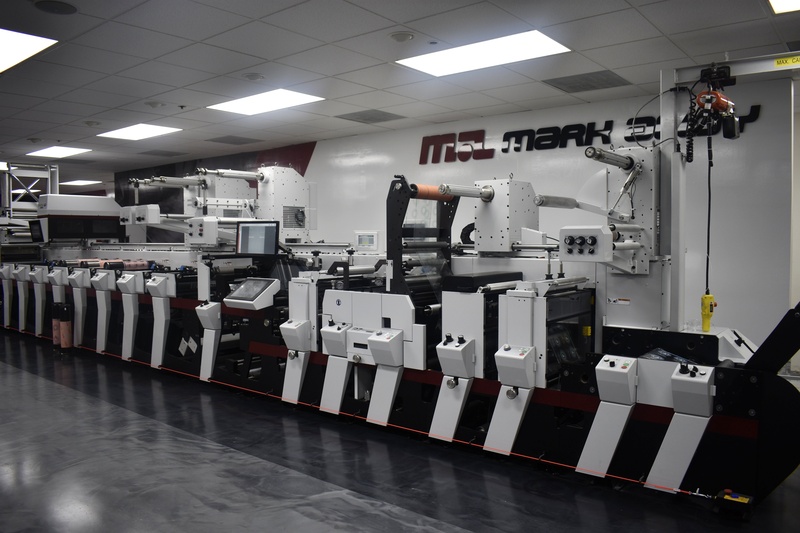 Label converters worldwide come to Saint Louis, MO, USA to see demonstrations of award-winning presses such as Digital Series HD, Performance Series, and Digital One. A Digital Series HD will be available in our demo room. 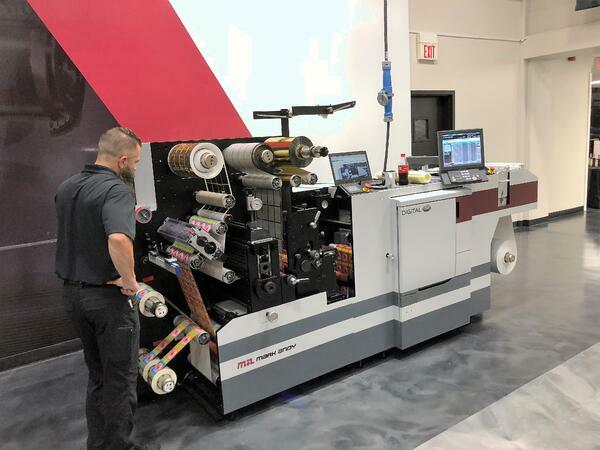 The demo asset is our True Hybrid flagship configuration, with inline converting, advanced semi-rotary diecutting, and an 8 color extended gamut UV inkjet module. 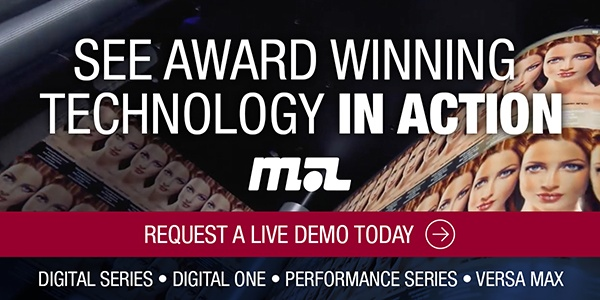 The Performance Series press has been a staple in Mark Andy global demo rooms. The new P7E model features state of the art print stations, QCDC-SR, and is outfitted with Digital Plus Screen. The modular hybrid Digital Plus Screen solution is an even replacement for rotary screen. 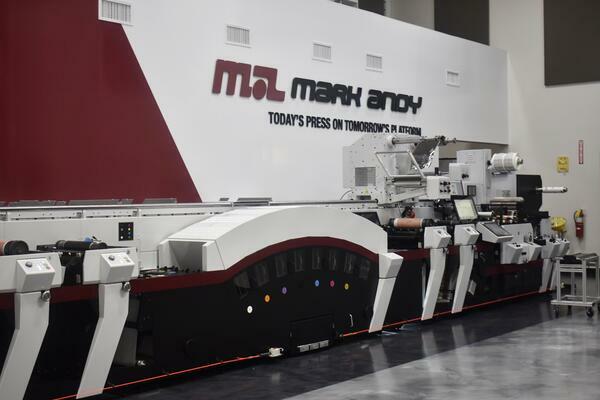 The Mark Andy Digital One will also call the new North American demo center home. The CMYK dry-toner digital hybrid, built with standard converting inline, is a perfect complement to flexo for short run work. 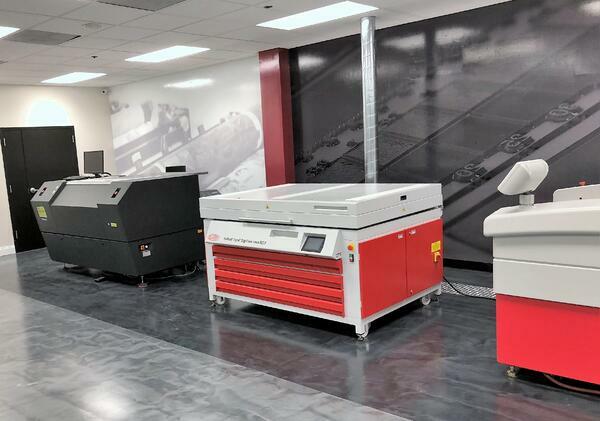 As our portfolio and commitment to innovative technology continues to grow, an emphasis unique to this this iteration of our demo center is a dedicated and robust pre-press bullpen. Around the clock our specialists will work here, and during demos they will be available to walk you through color profiles, our ProWORX DFE, and all things Esko & Global Graphics to guarantee confidence in the decision to partner with Mark Andy for your workflow needs. 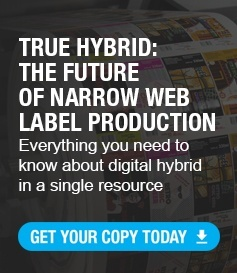 Beyond just digital equipment, the pre-press station was chosen to be in a centralized location, promoting our non-disruptive workflow solutions that support any and all Mark Andy printing processes. Building on the recent agreement between Mark Andy and DuPont, naming Mark Andy the exclusive North American distributor of DuPont Cyrel products, an area of our demo center has been dedicated to advanced platemaking technologies. Customers interested in bringing their platemaking in-house can control quality, deadlines, and reduce costs, something the Mark Andy Demo team has first-hand experienced from having the platemaking and processing equipment. Visitors can learn and see the advantages of the latest platemaking and processing equipment, further establishing Mark Andy’s commitment to the complete production workflow. Unique to the industry, we place a deep importance in customer success post-sale and offer robust training programs. Our “university”-style training room allows groups of up to 20 to get hands-on equipment experience to maximize workflows and enhance productivity, all while honing their craft and bettering their print technique. Programming consists of print training, maintenance training programs and LEAN optimization seminars. To register for MAU classes, click here. To request a personalized demonstration and guided tour of Mark Andy, please click here or on the image below. What is your favorite enhancement to our demo space? Let us know in the comments below!